Posted by Dave Emory ⋅ April 27, 2016Post a comment Email This Post Print This Post Tweet This! Introduction: The mafia began as a resistance movement focused against Norse (Viking) and Saracen (Turkish/Muslim) invaders in 12th and 13 century Sicily. It might seem incredible to the casual observer that an organization that began so long ago could have developed and spread to the size, gravitas and scope of operations that it has. We also appreciate that when Mr. Emory uses the term “Underground Reich,” it might seem odd or incredible to many. Bringing up to date “L’Affaire Snowden,” we underscore the deep politics underlying the CIA’s broadcast psychological warfare fronts and their evolution into the milieu involving and surrounding Eddie the Friendly Spook. A central question posed in our analysis is this: are the focal point networks set up by Prouty now functioning as an Underground Reich Fifth Column, having been infiltrated over the decades by the Gehlen Org, the SS and the Bormann capital network? As we examine the personnel and institutions comprising “Team Snowden,” we come to a milieu that has evolved from the CIA’s radio propaganda and psychological warfare capabilities. Is the BBG/Radio Free Europe/Radio Liberty/Radio Free Asia nexus infiltrated by “focal point” operatives? 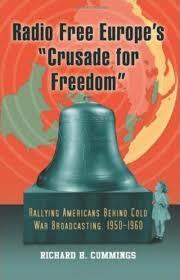 The Crusade For Freedom nexus also overlaps the operations of Radio Liberty and the other fronts that evolved into the BBG/Snowden milieu. Recapping information from AFA #3, we note the central role of the Gehlen Org in the development of Radio Free Europe/Radio Liberty, with the Nazi influence in the organization evident decades after its formation. The continuity in chain of command from the Third Reich to the Org as it was going to work for the U.S. The Org’s collaboration with Heinrich Mueller, security director for the Bormann network. 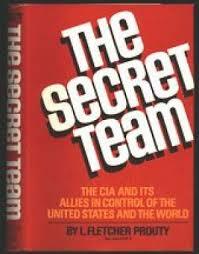 The CIA’s collaboration with the the Bormann group. Martin Bormann’s view of Bush family business associate Fritz Thyssen as a liaison to Allen W. Dulles. Prescott Bush (Senior) and his work as Congressional liaison to the CIA. Allen Dulles’ use of Third Reich monies to fund Cold War covert operations, inevitably placing the Agency in the sway of Martin Bormann. The program concludes with Pierre Omidyar’s choice of Snowden superior Robert Lietzke as an Omidyar fellow. 2. As we examine the personnel and institutions comprising “Team Snowden,” we come to a milieu that has evolved from the CIA’s radio propaganda and psychological warfare capabilities. Between 2012 and 2014, Radio Free Asia’s Open Tech­nol­ogy Fund poured more than $10 mil­lion into Inter­net pri­vacy projects big and small: open-source encrypted com­mu­ni­ca­tion apps, next-generation secure email ini­tia­tives, anti-censorship mesh net­work­ing plat­forms, encryp­tion secu­rity audits, secure cloud host­ing, a net­work of “high-capacity” Tor exit nodes and even an anony­mous Tor-based tool for leak­ers and whistle­blow­ers that com­peted with Wikileaks. … Read­ers might find it odd that a US gov­ern­ment agency estab­lished as a way to laun­der the image of var­i­ous shady pro­pa­ganda out­fits (more on that soon) is now keen to fund tech­nolo­gies designed to pro­tect us from the US gov­ern­ment. More­over, it might seem curi­ous that its money would be so warmly wel­comed by some of the Internet’s fiercest antigov­ern­ment activists. Although today’s BBG is no longer covertly funded via the CIA’s black bud­get, its role as a soft power “psy­cho­log­i­cal war­fare” oper­a­tion hasn’t really changed since its incep­tion. The BBG and its sub­sidiaries still engage in pro­pa­ganda war­fare, sub­ver­sion and soft-power pro­jec­tion against coun­tries and for­eign polit­i­cal move­ments deemed hos­tile to US inter­ests. And it is still deeply inter­twined with the same mil­i­tary and CIA-connected intel­li­gence orga­ni­za­tions — from USAID to DARPA to the National Endow­ment for Democracy. . . .
3b. More about the composition of the cast of the CFF: Note that the ascension of the Reagan administration was essentially the ascension of the Nazified GOP, embodied in the CFF milieu. Reagan (spokesman for CFF) was President; George H.W. Bush (for whom CIA headquarters is named) was the Vice President; William Casey (who handled the State Department machinations to bring these people into the United States) was Reagan’s campaign manager and later his CIA director. For our purposes here, note the position of Radio Liberty in this constellation. Again, that is part of the array of CIA broadcasting entities that evolved into the milieu of Eddie the Friendly Spook. 3c. Next, the show excerpts AFA #3, detailing the Gehlen involvement with the development of the CIA psychological warfare broadcasting outfits. Operation Paperclip by Annie Jacobsen; Little Brown [HC]; Copyright 2014 by Ann M. Jacobsen; ISBN 978-0-316-22104-7; pp. 319-320.
. . . . Gehlen had been in the United States under interrogation since 1945. Here, at Oberursel, Army Intelligence decided to make Gehlen head of its entire “anti-Communist intelligence organization,” under the code name Operation Rusty. Eventually, the organization would become known simply as the Gehlen Organization. A network of former Nazi intelligence agents, the majority of whom were members of the SS, began working out of offices at Camp King side by side with army intelligence officers. Colonel [William Russell] Philp was in charge of overall supervision. The army became fed up with the Gehlen Organization, but there was no way out. Its operatives were professional double-crossers and liars–many were also alleged war criminals–and now they had the army over a barrel. Decades later, it would emere that General Gehlen was reportedly earning a million dollars a year. [A LOT of money in the late ’40s and early ’50s–D.E.] . . .
3e. In FTR #’s 278, 370, 435 and 475, we discussed the Bush family, their links to Nazi industry and Mr. Emory’s belief that the Bush family is the point element of the Bormann network in the U.S. FTR #370, in particular, highlights the violent cover-up of the Bush family/Thyssen link. Note that Bormann saw Fritz Thyssen as a pipeline to Allen Dulles. 3f. Much of the discussion that follows concerns Dulles’s collaboration with Reinhard Gehlen. Note that Gehlen cleared his actions with Admiral Doenitz (Hitler’s successor) and General Franz Halder, indicating that the German chain of command was still in effect even after Gehlen began working with the U.S. In other words, the German chain of command was still in effect, and it approved of what Gehlen was doing with the Americans. . . .
3g. While serving in his capacity as director of security for the Bormann organization—the NSDAP in exile and its economic infrastructure—former Gestapo chief Heinrich Mueller worked closely with US intelligence, the CIA, in particular. Martin Bormann: Nazi in Exile; Paul Manning; Copyright 1981 [HC]; Lyle Stuart Inc.; ISBN 0-8184-0309-8; p. 211.
. . . . The CIA could have pulled aside the gray curtain that obscured Bormann—at any time. But the CIA and Mueller’s crack organization of former SS men found it to their mutual advantage to cooperate in many situations. There is no morality in the sense that most of us know it in the strange world of professional secrecy, and when it was to the advantage of each to work together they did so. . . .
3h. As might be surmised, Mueller’s operatives also worked with the organization of Reinhard Gehlen. Martin Bormann: Nazi in Exile; Paul Manning; Copyright 1981 [HC]; Lyle Stuart Inc.; ISBN 0-8184-0309-8; p. 273.
. . . . Even General Gehlen, when he was chief of the Federal Republic’s intelligence service, sent his agents to confer with General Heinrich Mueller in South America. . . .
3i. Prescott Bush, Sr. was the Senate’s liaison with Dulles’s CIA. 3j. In Gold Warriors, we looked at the use of Golden Lily and Black Eagle Trust loot as a financial engine for U.S. covert operations during the Cold War. Inevitably the use of these monies would have needed the OK of the remarkable and deadly Bormann network and would have resulted in even deeper penetration of the U.S. intelligence establishment by the Underground Reich’s fifth column. “What the Hell? Pierre Omid­yar Selects One of Edward Snowden’s For­mer Booz Allen Bosses to Be an Omid­yar Fellow;” by Mark Ames; Pando Daily; 10/16/2015. Edward Snow­den was a Booz Allen Hamil­ton employee in Hawaii when he worked as a sub­con­trac­tor for the National Secu­rity Agency and made off with hun­dreds of thou­sands of the spy agency’s files. Booz Allen, “the world’s most prof­itable spy orga­ni­za­tion,”is one of the NSA’s lead­ing pri­vate con­trac­tors; the direc­tor of US intel­li­gence, James Clap­per, was a Booz Allen exec­u­tive, and for­mer NSA direc­tor Michael McConnell is now a Booz Allen VP. In other words, if you con­sider your­self an Edward Snow­den sup­porter in any way, Booz Allen is the enemy. So it may come as a sur­prise that bil­lion­aire Pierre Omid­yar — pub­lisher of The Inter­cept, which owns the only com­plete cache of Snowden’s NSA secrets; financier of the Free­dom of The Press Foun­da­tion, where Snow­den serves on the board of direc­tors— has just selected one of Snowden’s for­mer bosses at Booz Allen’s Hawaii branch to join the Omid­yar Fel­lowsprogram. His name is Robert Liet­zke, and he’s a “prin­ci­pal” at Booz Allen’s Hawaii branch, where he’s worked for over 15 years. In 2008, Liet­zke was reported in the local Hawai­ian press as one of “three prin­ci­pals [run­ning] day to day oper­a­tions” at Booz Allen’s Hawaii branch. Lietzke’s spe­cialty at Booz is infor­ma­tion sys­tems and tech­nol­ogy, Snowden’s field. Before he joined Booz Allen, Liet­zke was a com­puter sys­tems offi­cer in the US Air Force from 1989 through 1999. After join­ing Booz’s Hawaii branch, Liet­zke worked “sup­port” for the US Pacific Com­mand, head­quar­tered out­side of Hon­olulu, on pro­tect­ing crit­i­cal infra­struc­ture and net­work operations. “In a firm that employs 18,000 peo­ple world­wide, it’s easy to feel like a small voice that will never be heard by ‘The Man.’ But at Booz Allen Hamil­ton, a tech­nol­ogy con­sult­ing firm that mainly ser­vices the U.S. mil­i­tary, employ­ees feel that higher-ups are listening. Every year since 2012, Hawaii’s rich­est res­i­dent, Pierre Omid­yar, selects around a dozen peo­ple from Hawaii’s busi­ness, non­profit, and gov­ern­ment sec­tors to become Omid­yar Fel­lows and form a kind of unof­fi­cial club of Hawaii’s future leaders. The appli­ca­tion process for the Omid­yar Fel­lows’ 15-month pro­gram is designed to be rig­or­ous. Your com­pany must spon­sor your appli­ca­tion, which requires per­sonal tes­ti­monies and let­ters from your com­pany CEO. Omid­yar Fel­lows need the full endorse­ment of their cur­rent employ­ers and must be able to par­tic­i­pate in all the activ­i­ties of the pro­gram. The spon­sor will rec­og­nize the ben­e­fit to the orga­ni­za­tion of a Fellow’s lead­er­ship devel­op­ment and be will­ing to hold the Fel­low account­able for putting his/her learn­ing to work. This includes a “let­ter of sup­port from your chief exec­u­tive” that explains “why you are a cur­rent and future leader in your orga­ni­za­tion and how your growth might con­tinue beyond the pro­gram.” Mean­ing, pre­sum­ably, that Booz Allen CEO Hora­cio Rozan­ski wrote to Omidyar’s peo­ple push­ing for them to select his top Hawaii exec­u­tive as an Omid­yar Fellow. * How will the Omid­yar Fel­lows pro­gram help you to achieve your pro­fes­sional aspirations? * How will the Omid­yar Fel­lows pro­gram help you to achieve your aspi­ra­tions for the larger com­mu­nity and the peo­ple of Hawaii? Once a Fel­low, always a Fel­low… The for­mal pro­gram is just the begin­ning of a life­long com­mit­ment by Omid­yar Fel­lows to make a pos­i­tive dif­fer­ence with the knowl­edge and net­work gained and to help sub­se­quent gen­er­a­tions of emerg­ing lead­ers. In other words, Omid­yar is build­ing a kind of local Hawai­ian cadre of lead­ers and net­worked exec­u­tives under his brand name and sponsorship—a kind of elite Cham­ber of Com­merce loyal to Omid­yar and imbued with his New Age lib­er­tar­ian faith. I asked national secu­rity inves­tiga­tive reporter Tim Shorrock, the fore­most expert on pri­vate con­trac­tors and the NSA and author of “Spies For Hire” for his take on Omid­yar cozy­ing up with one of the heads of the Booz Allen branch where Snow­den worked. Shorrock pointed me to Omidyar’s Ulupono Ini­tia­tive in Hawaii, a mul­ti­fac­eted ven­ture cap­i­tal fund that oper­ates in Omidyar’s home state much the way his Omid­yar Net­work oper­ates in coun­tries around the world, seek­ing both prof­its and polit­i­cal influ­ence. Kyle Datta, who serves as Gen­eral Part­ner at Omidyar’s Ulupono Ini­tia­tive, is a for­mer Booz Allen vice pres­i­dent. Shorrock also pointed me to a major Pen­ta­gon con­trac­tor expo in Hawaii that Omid­yar has been co-sponsoring his Ulupono Ini­tia­tive for the past few years with the likes of Lock­heed Mar­tin, Hon­ey­well, and NSTXL (National Secu­rity Tech­nol­ogy Accel­er­a­tor) — the Defense Department’s ver­sion of the CIA’s In-Q-Tel. “Omidyar’s rela­tion­ship with Booz Allen Hamil­ton would be per­fect for the link-analysis style of report­ing on politi­cians and pub­lic fig­ures we see in his pet jour­nal­is­tic project, The Intercept. “This is the sec­ond senior Booz exec­u­tive he’s taken under his wing….Kyle Datta, who has directed Ulupono’s invest­ment strate­gies since 2009, once did the same for Booz, where he ran the contractor’s energy practice. Shorrock’s ques­tion is the one we’re all try­ing to make sense of: Why would Omid­yar both court and develop Edward Snowden’s for­mer boss and employer at Booz Allen, and also set up an “adver­sar­ial” media com­pany based on the NSA leaks taken by Booz Allen Hawaii’s for­mer employee, Edward Snow­den? Is the eBay bil­lion­aire just trolling us? Is his Kitto Man­dala char­ac­ter tak­ing over Omidyar’s ves­sel and play­ing tricks on the rest of us? This is one of those cases where you prob­a­bly should start with the sim­plest answer, and the sim­plest answer here is: It’s strictly busi­ness. For one thing, as Shorrock notes, Hawaii is one of the most highly mil­i­ta­rized patches of real estate in the U.S. A RAND study esti­mated that up to one-fifth of Hawaii’s econ­omy is tied to the Depart­ment of Defense. Beyond the big new NSA cen­ter, there are 10 major mil­i­tary instal­la­tions, research cen­ters, weapons stores, pri­vate con­trac­tors, and a local cit­i­zenry over-represented by vet­er­ans, for­mer offi­cers, and spooks. In other words, Omid­yar is the rich­est man in a state where the military-intelligence com­plex is the biggest busi­ness in town. And since Booz Allen is a big name in Hawaii’s military-intelligence con­tract­ing, when it comes to strict busi­ness inter­ests, it’s nat­ural that Omid­yar and Booz Allen would want to seal their rela­tion­ships in one of Omidyar’s local lead­er­ship cults. We’re also left ner­vously won­der­ing why, out of the hun­dreds of thou­sands of NSA files in The Intercept’s pos­ses­sion, not one leaked thus far has men­tioned Booz Allen or other pri­vate con­trac­tors. How is that pos­si­ble, when we know that 70 per­cent of the NSA’s oper­a­tions are run by pri­vate con­trac­tors (thanks to Shorrock’s reporting)? Chances are, even Snow­den won’t crit­i­cize Omid­yar for court­ing his Booz Allen adver­saries. Hell, he prob­a­bly doesn’t even care any­more. They’ve all got valu­able per­sonal brands to tend to. Like Pacino said — it’s strictly busi­ness, Sonny.